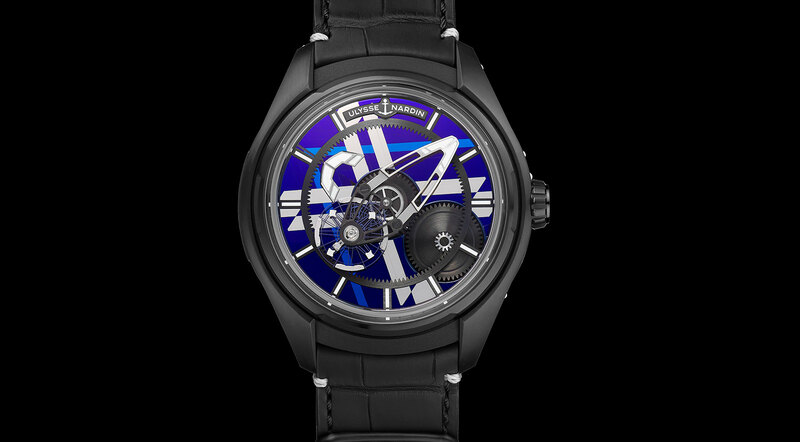 There aren’t many watches that straddle the past and future quite as dramatically as the Ulysse Nardin Freak. 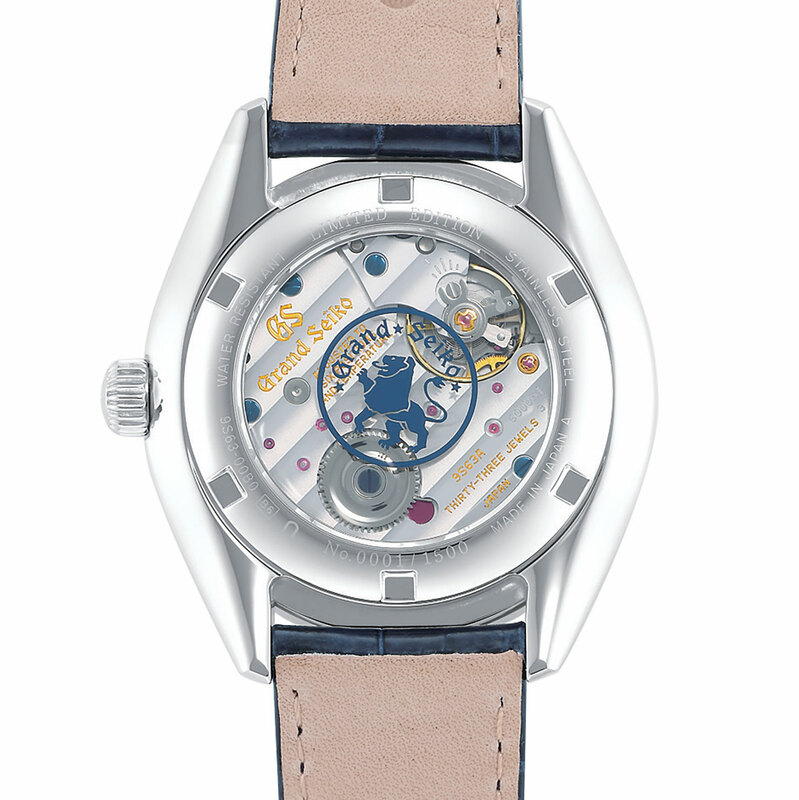 When it made its debut in 2001, the original Freak was a landmark that morphed the tourbillon (or more specifically a carousel) into the time display. More crucially, the new Dual Direct escapement inside the Freak used silicon – which was then completely radical for a watch movement – to realise the frictionless natural escapement invented by Abraham-Louis Breguet but never produced in series. 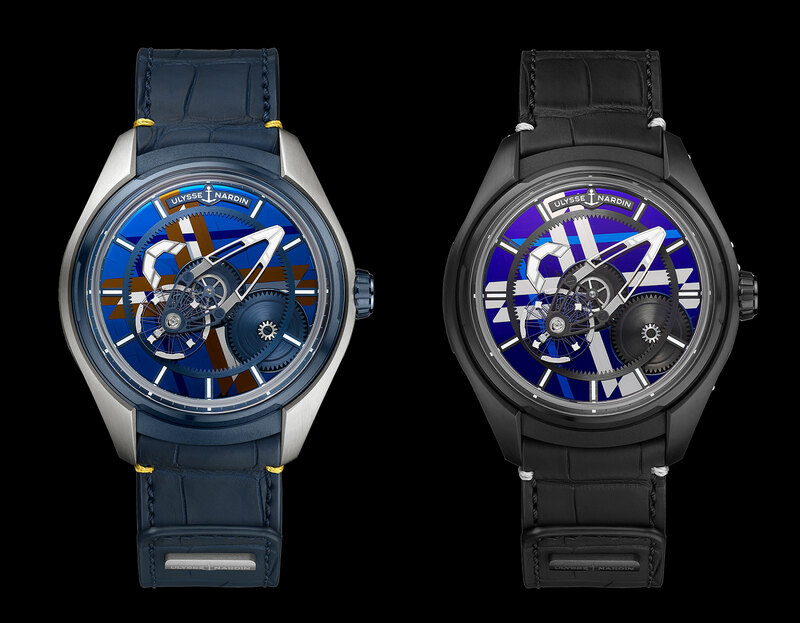 Now Ulysse Nardin has inverted the use of silicon, silicium in French, in with a special edition of the new entry-level Freak by using silicon marquetry for the dial. 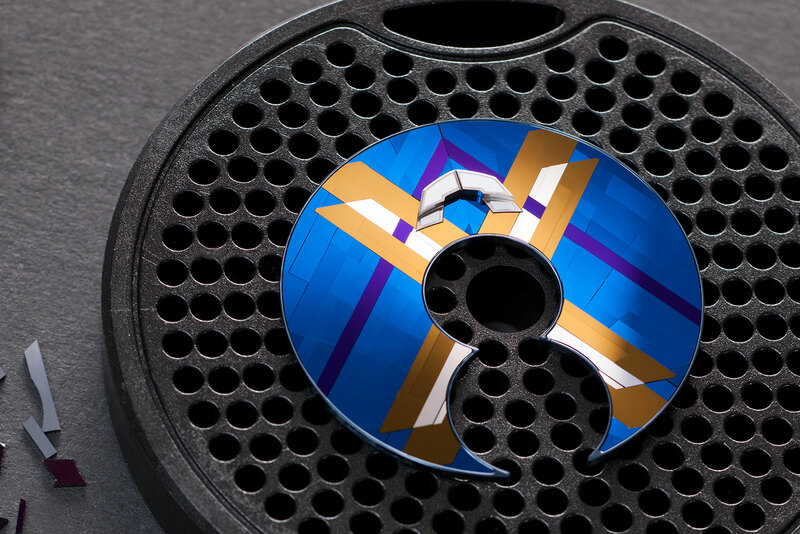 Available in two iterations – natural finish or DLC-coated titanium – the Freak X Silicium Marquetry uses 120 tiny slices of silicon wafer segments assembled on a brass dial base to create a multi-layered mosaic dial. 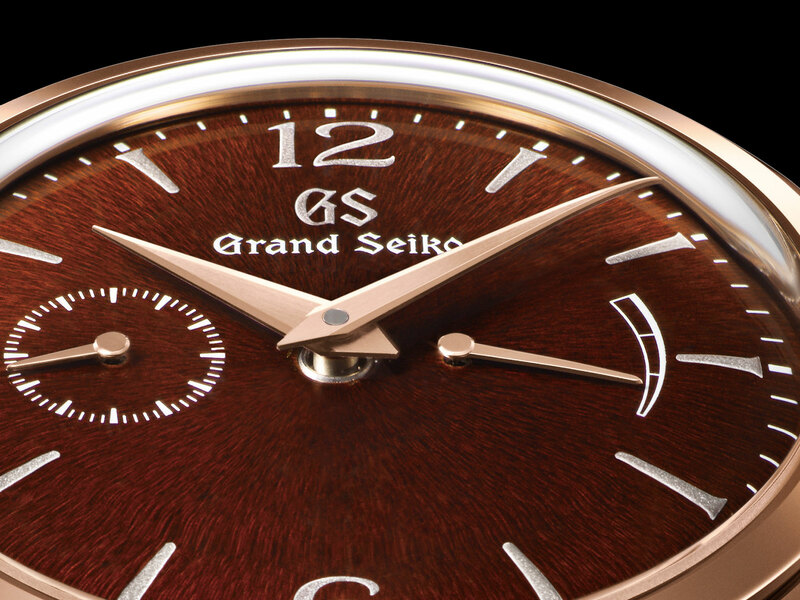 The dials possess the characteristic iridescent and slightly metallic lustre of silicon. And because each slice of silicon catches the light slightly differently, the dial has a striking reflectivity and varying colours. 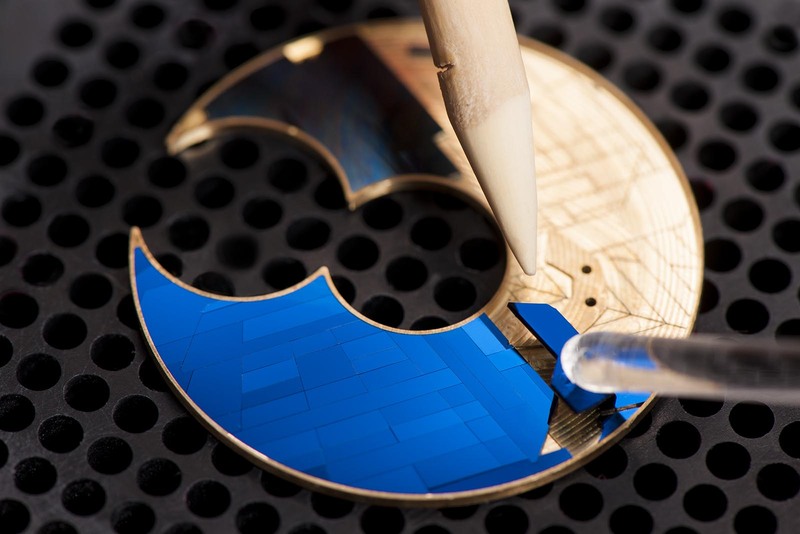 Because the colour of silicon wafers depend on the thickness and number of layers of silicon dioxide inside, coloured motifs are possible. 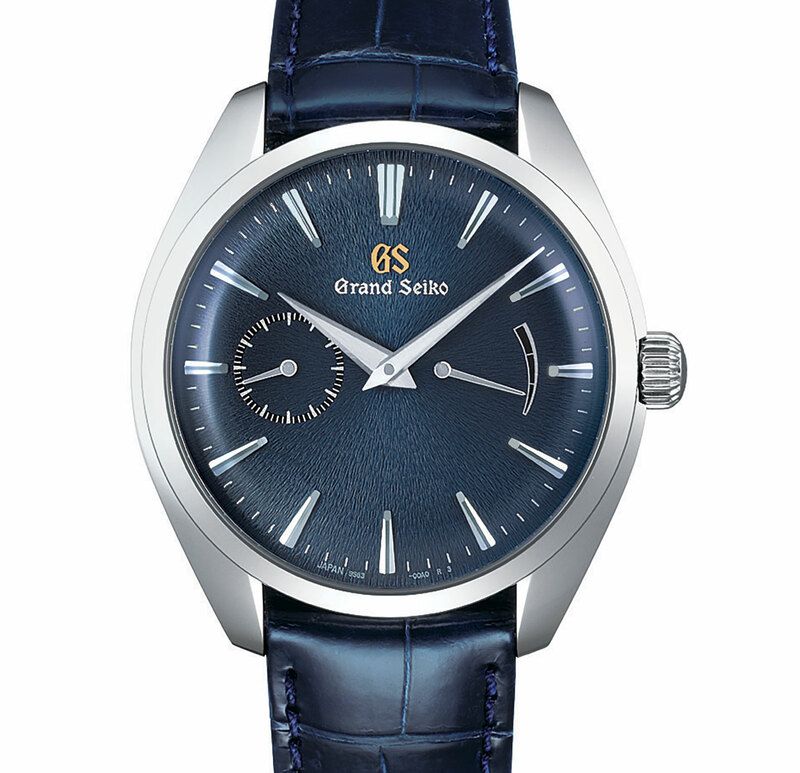 The natural finish titanium model features a gilded “X” on a blue dial, while the DLC-coated version has a silver “X” on a purplish-blue background. Fittingly, the decorative dials are applied to the simplest, least freakish, and most affordable version of the Freak to date. 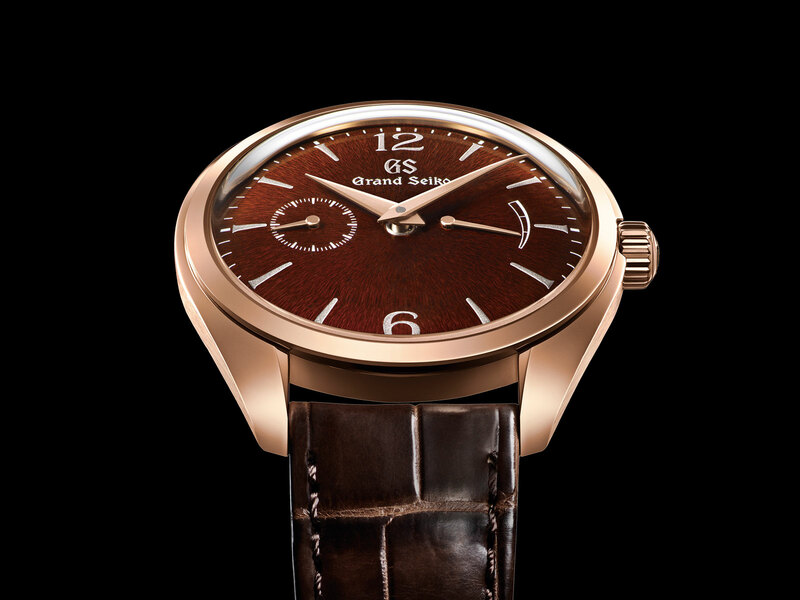 Launched at SIHH 2019, the Freak X is a wearable 43mm in diameter and dispenses with the signature time-setting bezel in favour of a traditional crown. 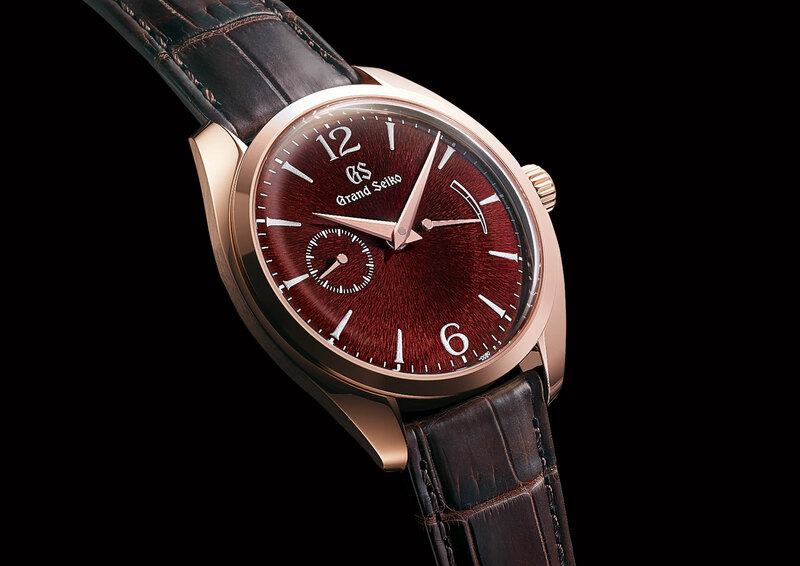 The result of this concession to convention is a significantly less complex mechanism that’s constructed essentially as a Freak-like time display on top of a conventional automatic movement. The newly developed automatic cal. UN-230 has a full rotor visible through the case back and offers a 72-hour power reserve, which is shorter than the seven-days of the original Freak, but still longish by the standards of conventional movement. That being said, the distinctive baguette-shaped carrousel time display is takes centre stage. 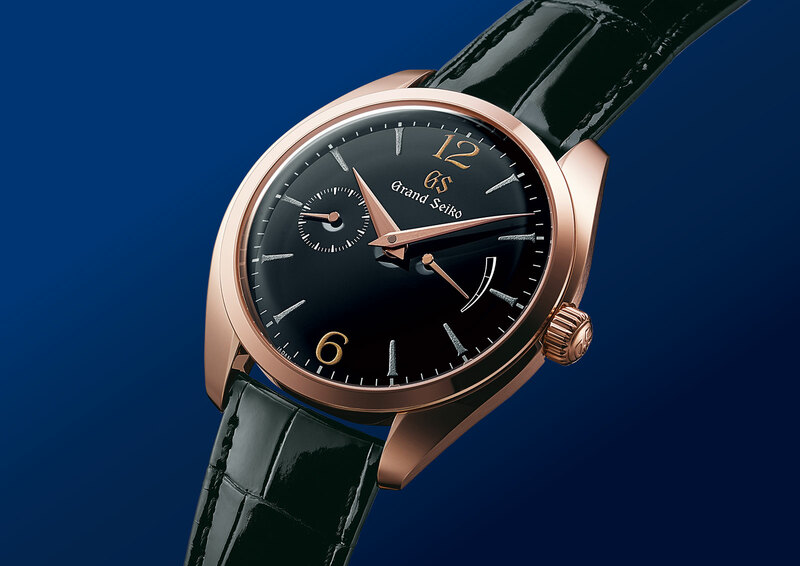 The minute hand is comprised of the balance, escapement and part of the wheel train, with the entire assembly rotating to indicate the minutes. 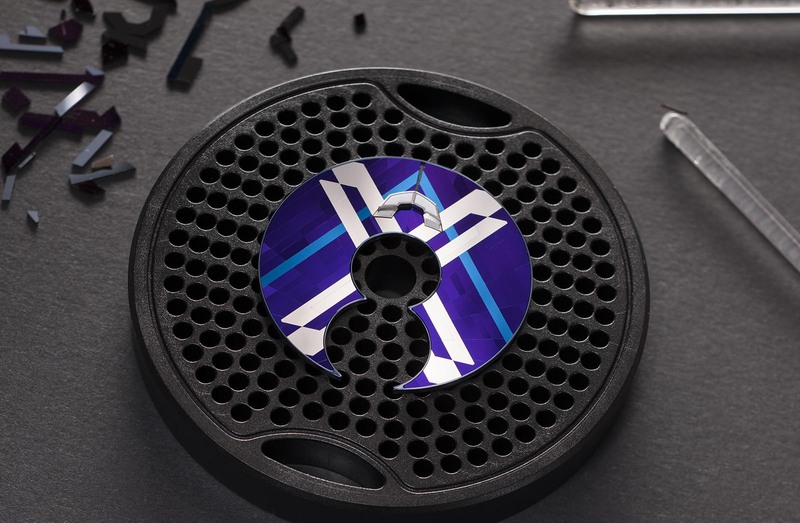 Silicon is also used literally in the movement, with an impressive, extra-large silicon balance, complete with nickel inertia blocks and stabilising micro-blades. 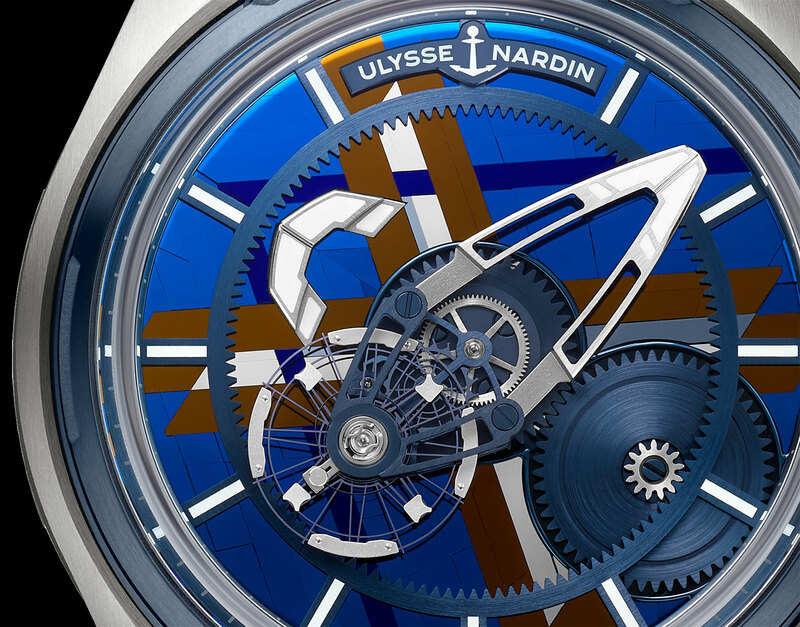 The Ulysse Nardin Freak X Silicium Marquetry (ref. 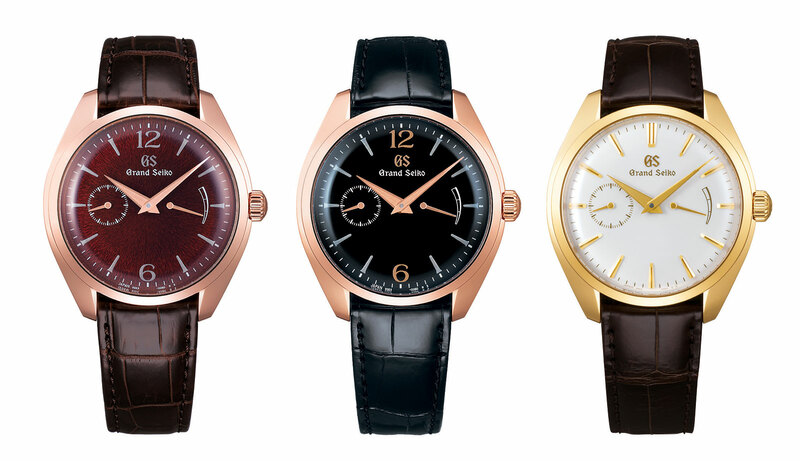 2303-270LE) is limited to 18 pieces in each dial style, and priced at SFr29,500.